Reality is all about language. We can demonstrate. 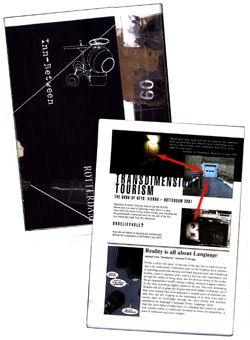 Transdimensional Tourism is the prototype for a (still) missing city magazine in Rotterdam. 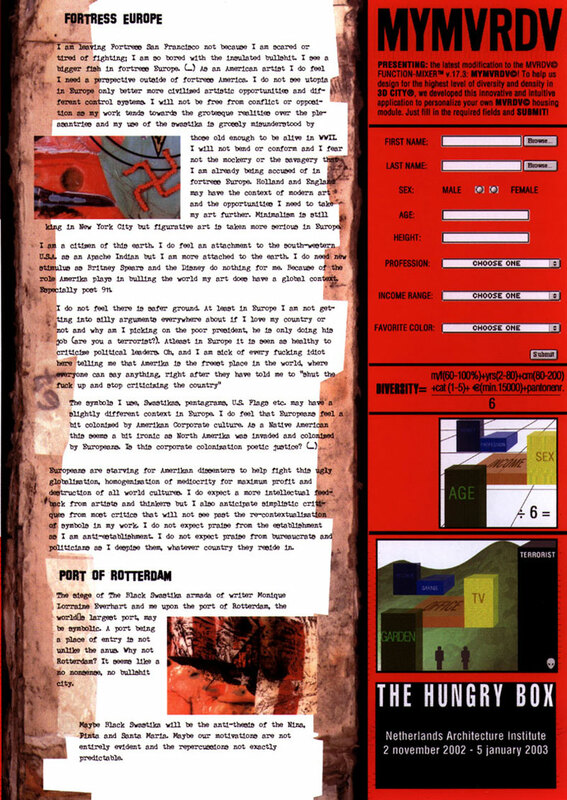 In this Sprachaktionism from the Other Side, a New Pessimysticism dreamweaves mythology in the urban spandex. 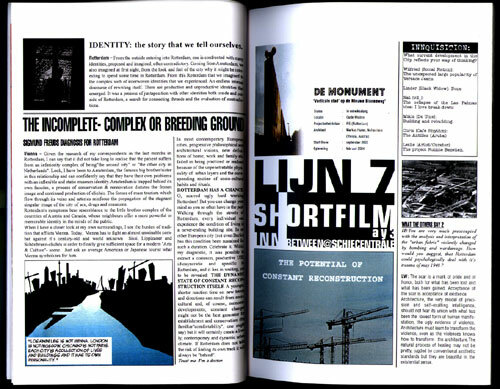 Including WHAT THE OTHERS SAY: Interview with Lebbeus Woods on the Image of the City of Architecture, Fortress Europe: The Death of Hitchhiking, Werken & Wonen: The colonisation of your mind, The Sandman Files: "Rotterdam is many Skylines", 1ab Mobility Precursor: There are No Shopping Malls for Metabolists, SUBText: Poortgebouw: WHY this will not be the LAST PARTY, BIG TABLE @ the Inn: Winy Maas and Roemer van Toorn, Why the Legendary Pink Dots are hiding in Nijmegen, W&W profile on Henry Miller and so much more...Ask WHY" Transdimensional Tourism evolved into a zero issue for WHY Rotterdam where 8 "Pre-emptive Pages" where concocted. 1.a. Relating to or constituting a strike made so as to gain the advantage when an enemy strike is believed to be imminent: a preemptive issue of WHY Rotterdam. b. 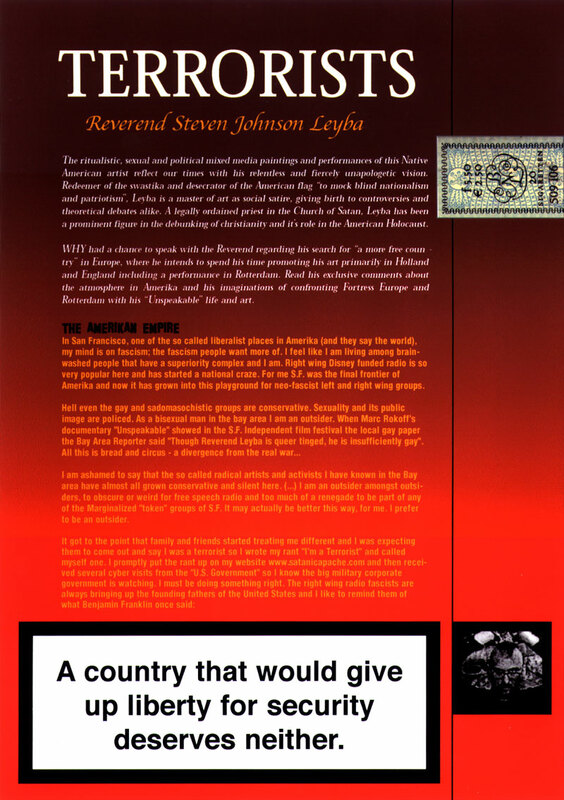 Undertaken or initiated to deter or prevent an anticipated, usually unpleasant situation or occurrence: The two agents organized a preemptive alliance against a possible takeover by consensus reality.